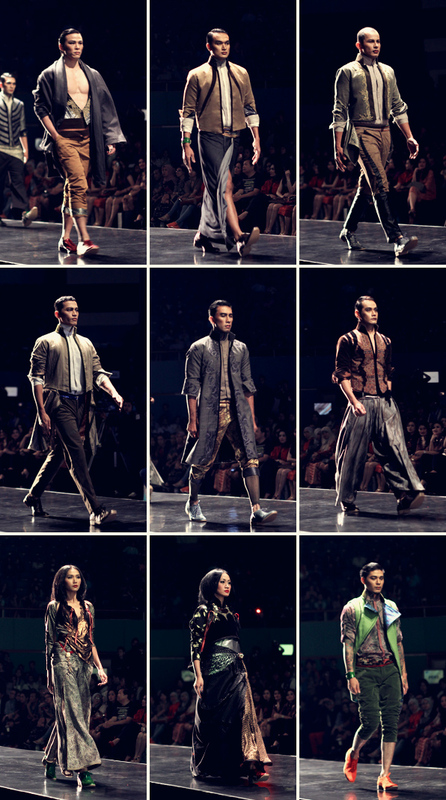 Back to day three of IFW 2012, here's the recap of the last fashion show of the day, Psychedelic Slang by Deden Siswanto, Ghea Panggabean, Eny Ming and Defrico Audy. Enjoy! 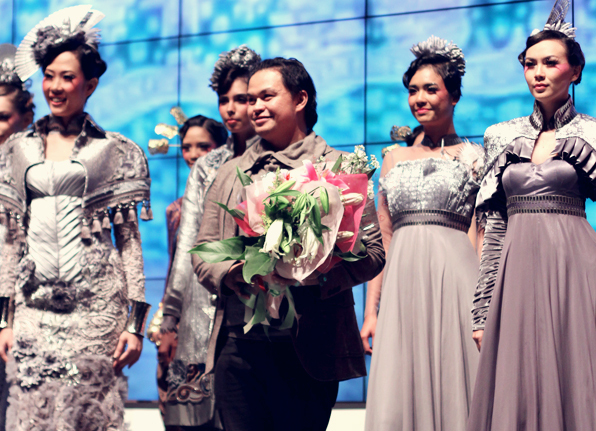 With the exploration and observation of Indonesia's rich culture, Deden Siswanto was able to give us chills by looking at his "Debutante Delight" design collection on the runaway at the IFW 2012. Inspired to merge the Royal Javanese style with the European style back in the colonial era, there he was once again amazed us with his choice of theme for the show. Orientalism, the theme that Ghea Panggabean chose for her fashion show last week at the IFW 2012, using a simple touch of Chinese culture with a lot of print patterns for her design, resulting in attracting people to come to watch her show. Prints are in trend, huh. 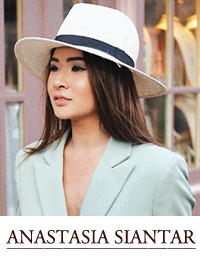 Eny Ming, a female designer based in Bali who always tends to give surprise to those who watch her show by showing a bold and edgy design without using a lot of details to her pieces. I heard she chose to name this collection "Re-Construction", inspired by the story of life which is pieces of life. Interesting but it kinda puzzled me though. 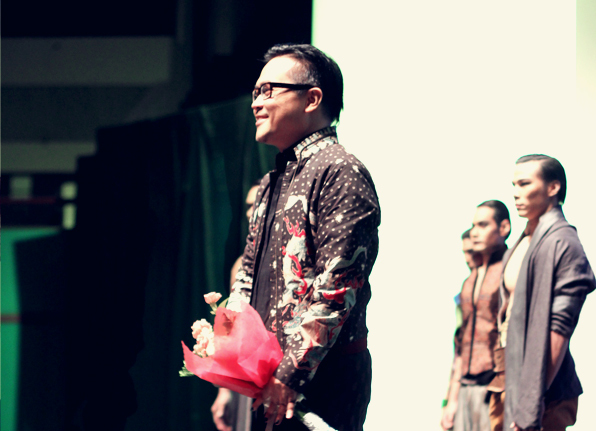 And here's one of my favourite designer at the IFW 2012, Defrico Audy. After succeeding with his Kutai Kartanegara inspired collection, this time he tried South Sumatra as his new inspiration through his design collection for the fashion show. I should say his designs are so classy!! Completely in love with your pictures... gorgeous shows and great collections! Awesome photos. 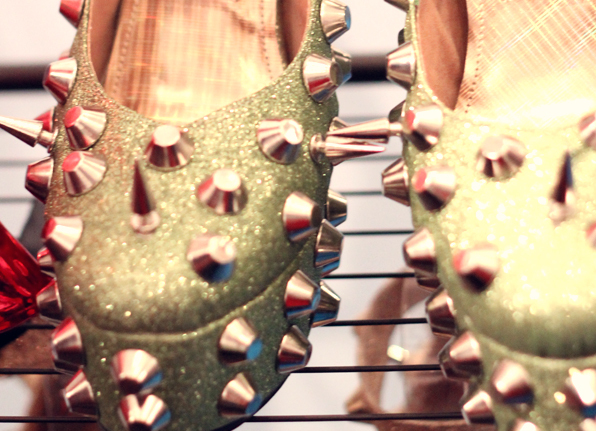 OH MY GOODNESS, those shoes... are so amazing. 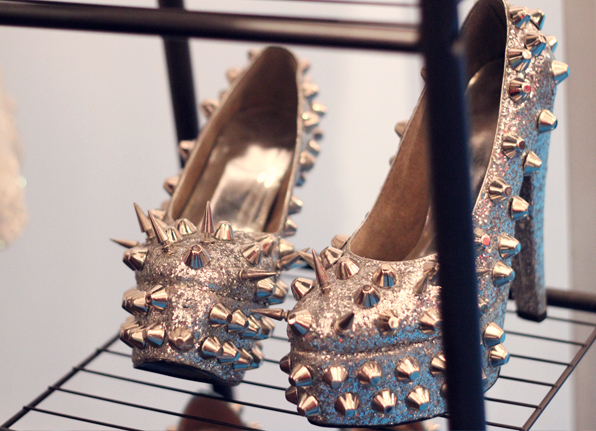 I want them. haha. hey, is that possible that you just visit my blog and answer a survey please ??!?! These are such wonderful designs, really love looking at the fresh creativity of designers outside of your usual realm. these are the show that i should have watched with you! hahahaha. ive seen ghea P's work during bazaar event last year, but the others are seriously awesome!! !